Call 800-998-0662 if you’re looking for Auto Insurance in Columbus Ohio! 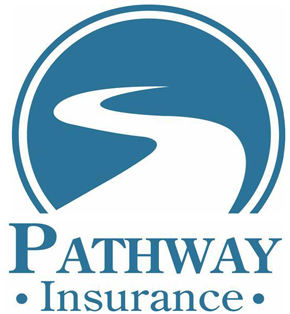 Contact Pathway Insurance by phone or use our convenient online quote system and receive up to 10 quotes within five minutes or less from top-rated companies in your area! Click on: Automobile insurance Columbus Ohio to use our online rate quoting system. We are an Ohio based independent agency specializing in providing the most competitive rates on auto insurance in Columbus Ohio and the surrounding areas! Additionally we offer Columbus Homeowners Insurance, Business Insurance in Columbus, and Life Insurance in Columbus Ohio. As an independent agency we represent a large number of diverse insurance companies offering the most competitive rates on auto insurance in Columbus Ohio. Many of the companies advertising insurance on television In the Columbus area offer automobile insurance through only one company. There isn’t a single insurance company no matter how much money they spend on television advertising that can guarantee the lowest price consistently over the long-term. Only an Independent agency has the ability to shop the market. Insurance Companies Lure Customers in with Low Teaser Rates on Automobile Insurance in Columbus! This is how every single insurance company engages in business to attract new customers. Insurers will offer cheap auto insurance rates to new prospective customers they will eventually increase over time. So the insurance companies ‘bait the water’ with cheap auto insurance rates in Columbus and later the company increases your rates to adjust for higher than anticipated losses or advertising expenses. Anxious policyholders eager to save money take advantage of the lower insurance rates, only to discover later (after insurance company rate increases), that the lower rates offered previously may in fact now be higher compared to what they were when the policyholder first started with the new lower priced company! Insurance companies are counting on you not noticing the difference, and loyally sticking with that particular company you switch to perhaps because of name brand recognition, or extensive television advertisements. The Bait, Catch, and Switch Insurance Pricing Model ™ is disclosed in more detail by means of a yet to be published consumer book on insurance by Jack Thomas. Our agency offers an automatic re-shopping service for homeowners, Columbus business owners, and those in need of car insurance in Columbus. Because of this tendency for insurance companies to lower rates to attract new customers, and then to raise the rates later we have developed a re-shopping service for all of our clients. This Is How Our Insurance Shopping Service Works for Those Purchasing Columbus Ohio Auto Insurance and the Surrounding Areas. When we receive your renewal declaration from your insurance company and we notice that your premiums have increased by 10% or more, we automatically shop around for new insurance rates. Or if it any time you would like us to shop around for new rates, simply call our office and speak with one of our licensed friendly staff. We will gladly re-shop the market to determine if a lower price as possible. What Is the Best Rate to Find Low-Cost Auto Insurance Rates in Columbus Ohio on a Permanent Basis? Allow our agency care for your insurance needs! We are in Ohio based independent insurance agency with many years of experience insuring thousands of policyholders. Additionally we have an A+ rating from the Better Business Bureau and we offer unique services that you will not find with other agencies offering auto insurance in Columbus Ohio or the surrounding areas. Why Not Call Us Today at 1-800-998-0662 or 513-662-7000.